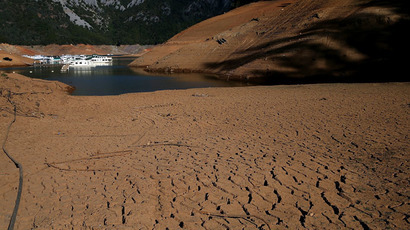 Southwestern USA could be set for its worst drought in 1,000 years because of climate change. Numerous states have experienced severe water shortages, with 64 million people affected. Researchers say things could get worse. The arid conditions in the southwest of the United States and the Great Plains have been caused by higher temperatures, while ground water supplies are shrinking. Studies by scientists using computer models show that the US could be in for its worst droughts since the 12th and 13th centuries. “The 21st-century projections make the [previous] mega-droughts seem like quaint walks through the Garden of Eden,” said Jason Smerdon, who was a co-author of the paper, which was published in the journal Science Advances and is also a climate scientist at Columbia University’s Lamont-Doherty Earth Observatory. Ben Cook, from NASA’s Goddard Institute for Space Studies, also helped to write the paper added that American’s may have to get used to droughts as a way of life. 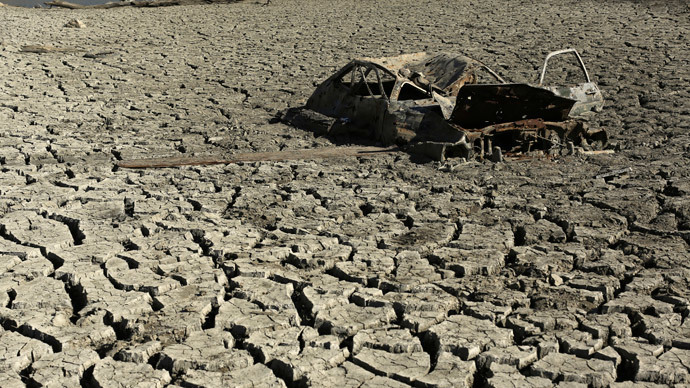 “These mega-droughts during the 1100s and 1200s persisted for 20, 30, 40, 50 years at a time, and they were droughts that no one in the history of the United States has ever experienced,” he said in a press release. “The droughts that people do know about like the 1930s ‘dustbowl’ or the 1950s drought, or even the ongoing drought in California, and the southwest today – these are all naturally occurring droughts that are expected to last only a few years or perhaps a decade. 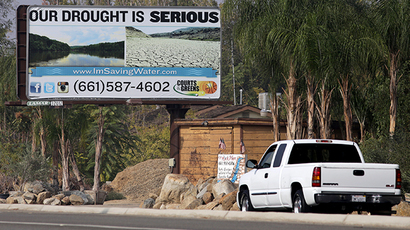 Imagine instead the current California drought going on for another 20 years,” Cook added. To aid their research, the scientists sued data, which they retrieved from tree rings. They were able to determine how much precipitation had fallen and how much moisture was in the ground as the rings were wider during wetter years. “The surprising thing to us was really how consistent the response was over these regions, nearly regardless of what model we used or what soil moisture metric we looked at,” Cook said in the press release. It has long been accepted by scientists that the southwest and the Great Plains will become arid during the second half of the 21st century as a consequence of climate change. However, this process is being accelerated due to the increasing levels of carbon dioxide in the atmosphere. Precipitation levels can be misleading the authors of the report said. Rainfall levels could remain the same as non-drought years, but an increase in temperature means more water is evaporated. California saw record amounts of rainfall in December 2014, though this has not been enough to fill up water supplies across the state. Crucially, snowfall amounts have been low, which has made it difficult to replenish reservoirs and underground aquifers. NASA says satellite images show the Sierra Nevada range snowpack is half the amount of past estimates. According to the United States Geological Survey, California’s use around 2.5 trillion gallons of water per year, which equates to around 181 gallons per person, per day. However, NASA says 11 trillion more gallons needs to enter the water supply to help elevate the current water shortages the population is experiencing. “All the things we were hoping wouldn’t happen five to 10 years ago are happening and I don’t think we have sounded the alarm fast enough,” said Stephanie Castle, a researcher at the University of California-Irvine, told Slate. The problem is only likely to get worse in the southwest due to increasing demands for water, which will put an increased strain on low underground water supplies. Since the turn of the millennium, parts of Arizona, California, Nevada, New Mexico, Oklahoma and Texas have all experienced drought like conditions for 11 of those years. 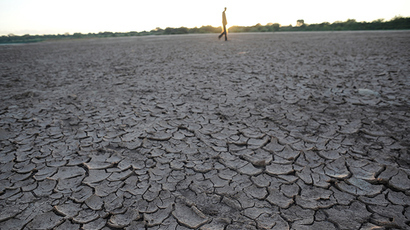 According to NASA, as many as 64 million people have been affected by a lack of water. This could have a knock-on effect of not just inconveniencing people’s lives through the introduction of water rationing and hosepipe bans, but could also affect key economic areas such as farming and agriculture in the Great Plains. “Human populations in this region, and their associated water resources demands, have been increasing rapidly in recent decades, and these trends are expected to continue for years to come. Future droughts will occur in a significantly warmer world with higher temperatures than recent historical events, conditions that are likely to be a major added stress on both natural ecosystems and agriculture,” the report concluded. A report published in the journal of the Proceedings of the National Academy of Sciences stated that average annual temperature is expected to increase by up to 5 percent by 2100, with a corresponding increase in water reduction of 30 percent. “I was honestly surprised at just how dry the future is likely to be,” said another co-author Toby Ault, who is an assistant professor in the Department of Earth and Atmospheric Sciences at Cornell University.